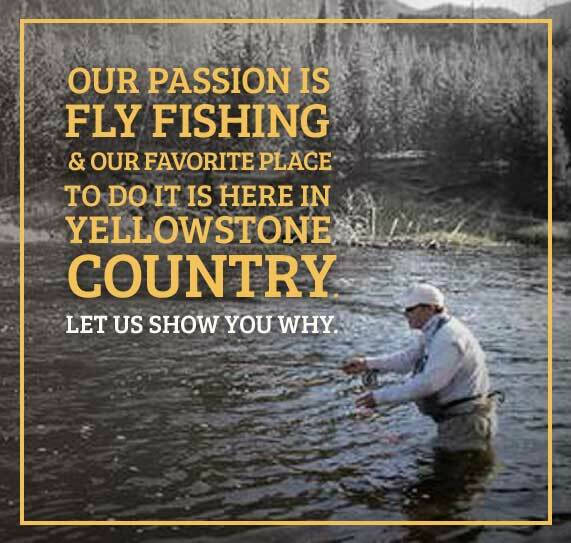 Jeff Watt has lived in West Yellowstone for over 20 years, and been a guide at Arrick’s for the last ten; he moved to the Yellowstone area literally the morning after his graduation, a young man with fishing, camping, hunting, snowboarding, and snowmobiling on his mind. Even before becoming a resident. Yellowstone was place near to Jeffʼs heart, between youth trips, family summer vacations, boy scout camps, and using his paper route money to purchase a bus ticket to visit his brother and snowmobile during Christmas break. With a driver’s license, Jeff’s trips from his Utah home to Yellowstone became frequent; in fact it was during one in which his fishing transformation was made, permanently, moving from ‘rotating hubcaps’ and ‘dangling gaffers’ to 5 weights, light tippet, and tying flies.Little did he know: that first 17” brown trout ‘between the lakes’ on a swinging black wooly bugger was a defining life experience. 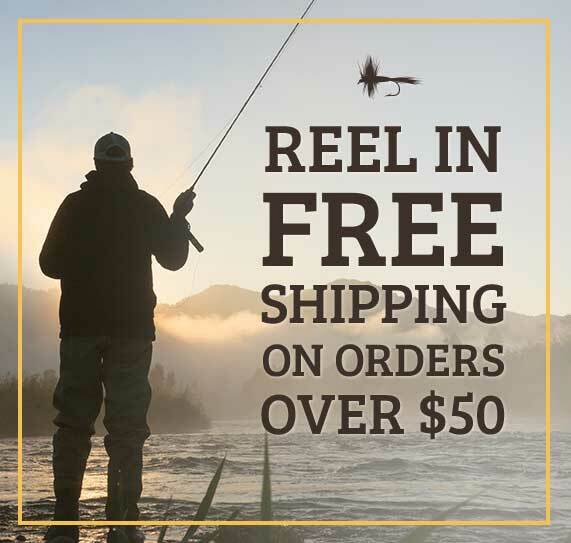 The result was a determined quest for knowledge, involving wearing out fishing nonfiction and magazines, numerous broken rods, and long days on the river, a litany of questions to local flyshops, and advice from guides. 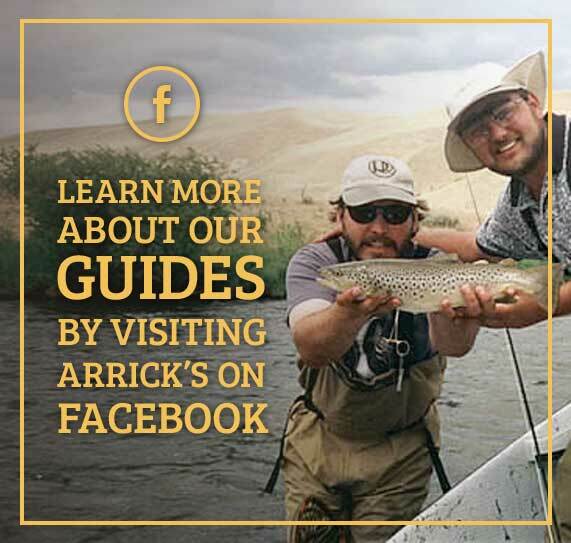 Eventually, Jeff decided to take on a job as a clerk at Arrickʼs Fly Shop.Little did he imagine that over a decade later he would still be guiding fisherman for Arrickʼs. Jeff has lived year round in West Yellowstone for over 20 years and 8 of those have been spent with the love of his life, Oly. Living in West Yellowstone year round requires one to be professionally diverse.During the Summer, along with guiding, Jeff owns and manages cabin rentals with the love of his life, his wife of 8 years, Oly. In the Fall, when the fish guiding slows down, Jeff can usually be found in the surrounding mountains, chasing bugling elk, or on the river bottoms near Ennis, Montana, in a tree stand with his bow.The Winter is spent managing a snowmobile rental company, taking clients into the beautiful Montana backcountry by snowmobile through his guide service, Ace Powder Guides.Spring is thaw time: after another long winter, preparing for the coming fishing season and usually an adventure somewhere warm.When choosing a vacation location, his only prerequisite is that he can hook a fish on a fly.This ambition has taken him to various locations from nearby in Idaho, Wyoming, Utah, and Oregon to further afield in Hawaii, Florida, California, Michigan, and Minnesota.Internationally, Jeff has been fortunate enough to fish in Jamaica and Russia. Because I love the environs where trout are found, which are invariably beautiful … Because trout do not lie or cheat and cannot be brought or bribed or impressed by power, but respond only to quietude and humility and endless patience; Because I suspect that men are going along this way for the last time, and I for one don’t want to waste the trip;… Because bourbon out of an old tin cup always tastes better out there; …And finally, not because I regard fishing as being so terribly important but because I suspect that so many of the other concerns of men are equally unimportant — and not nearly so much fun.” Excerpted from Robert Traver, The Testament of a Fisherman.